I recently attended a conference and listened to a geriatrician share that the average number of medications her patients are on when they come to her practice is a shocking 18 – 24. That’s per DAY! No doubt we have a serious epidemic in this country – our seniors are drowning in drugs. According to the National Institutes of Health, although the term polypharmacy has evolved over time and is often used to mean many different things in different situations, its basic definition is quite simple; more drugs are prescribed or taken than are clinically appropriate. 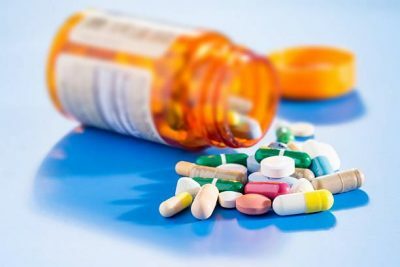 The specific number of drugs taken is not itself indicative of polypharmacy as all of the drugs may be clinically necessary and appropriate for the patient; however, as the number of prescribed drugs increases, so do the chances of Polypharmacy. The most worrisome consequence of polypharmacy is the occurrence of adverse drug reactions (ADRs), in addition to increased drug costs and patient quality of life are also significant issues. The elderly population, which often suffers from multiple chronic diseases requiring multiple medications, continues to increase. These patients are much more likely to experience Polypharmacy and its negative consequences, especially ADRs. ADRs are one of the most troubling issues surrounding medication use in the elderly, as this patient population is more likely to have poor outcomes than others. ADRs affects approximately 10-20% of hospitalized patients and around 7% of the general population; this number increases when the population of interest is limited to the elderly. The consequences of drowning in drugs are greatly exacerbated by the dramatic rise in older adults living with dementia. Not only are they taking too many drugs, but often they are not taking the drugs as prescribed. Statistics also point to a very low percentage of drugs to treat AD and other forms of dementia as being effective – less than 10% have positive outcomes. Healthcare professionals across the spectrum are faced daily with the challenges of helping these older adults and their families sort through their medication maze. It’s simply not easy when drugs are being prescribed on top of one another. If you or a loved one are facing these challenges, find a healthcare professional who is compassionate and willing to sort through the maze of medications. It will involve bringing in all prescribed medications, supplements and being willing to patiently partner with a caring healthcare professional.